Site managers can manage the users on the platform. Site managers can access an overview where they can see and manage all users in the platform. Go to Dashboard > People Overview. You can select one or more users to perform the same action on. The overview comes with filter and search options so you can search for specific users based on email address, name, registration date, group membership etc. You can export users and their data. 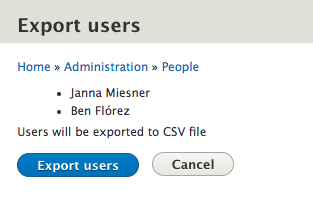 You can choose to export a few or all users, or based on the filter criteria. 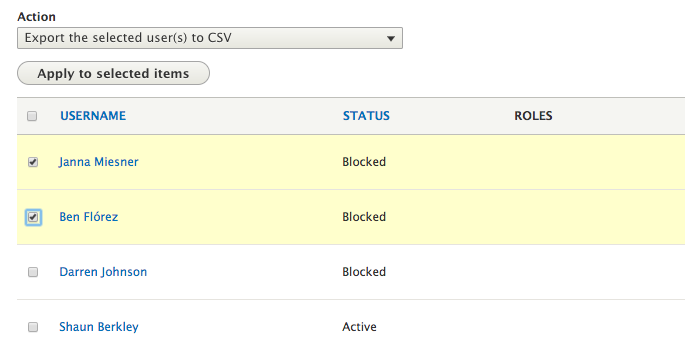 Once the exportation succeeds, the CSV file can be downloaded.